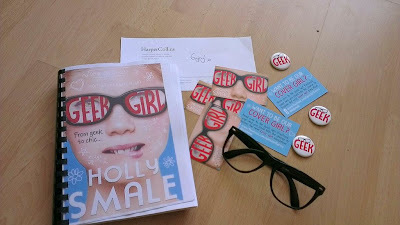 When I was at the clothes show in December I heard about a new book which was set to come out in February called Geek Girl, it sounded so good and I knew straight away I needed to get my hands on it and review it for my readers, thanks to the kind people at Harper Collins I was provided with a little Geek Girl goody bag containing a manuscript. I have been waiting about a month until today to post my review before the official release of it tomorrow, Thursday 28th. Please note Harper Collins provided this manuscript to me free of charge in return for an honest review. 15 year old Harriet Manners knows a lot of things. She knows that a cat has 32 muscles in each ear, a "jiffy" lasts 1/100th of a second, and the average person laughs 15 times per day. 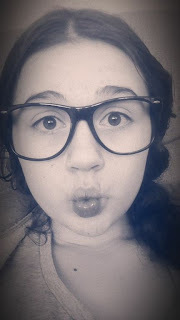 What she isn't quite so sure about is why nobody at school seems to like her very much. So when she's spotted by a top model agent, Harriet grabs the chance to reinvent herself. Even if it means stealing her Best Friend's dream, incurring the wrath of her arch enemy Alexa, and repeatedly humiliating herself in front of the impossibly handsome supermodel Nick. Even if it means lying to the people she loves. As Harriet veers from one couture disaster to the next with the help of her overly enthusiastic father and her peer stalker, Toby, she begins to realise that the world of fashion doesn't seem to like her any more than the real world did. From the first page I fell in love and could not put the book down, filled with giggles and smiles, Holly Smale's Geek Girl is one of the most enjoyable books I have read for a while with a strong message of not being afraid to be who you are. It was one of those books I could imagine recording the audio version or making a film out of because I felt I related to it so much. The main character, Harriet Manners, truly proved herself to be a geek with her interesting facts and use of intelligent words along with her bubbly and kind personality she made a lovable character who I learnt a lot from and strongly related to. I also fell in love with the character of Nick who really brought Harriet out of her shell and seemed to be a fun lovable boy, as soon as he was out of the story I would be flicking through the pages in hope he would return shortly. 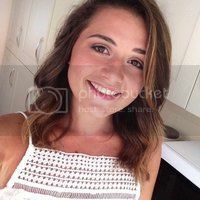 Nat was a great best friend character and really seemed to connect with Harriet even with their differences, she is the kind of character you would hope a best friend to be, even if they fight they are still there for each other and will be laughing about it the next day. Toby is one of those funny awkward characters that we can all relate to a person we know, he added a lot of humor to the story and his Harriet stalking skills were on point. 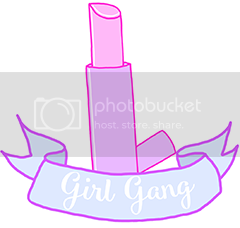 The plot was very realistic and had many aspects that every teenage girl could relate too, in addition to this the first person point of view created an almost diary like story that felt very lifelike and when I shut the book I missed being in Harriet's world. I would definitely recommend this book to girls of 12+ who like a nice cutesy book to relax too and likes a good laugh. It is a unique story line which I personally like to get away from the traditional modern teen-y books. I would probably give Geek Girl a 9/10. 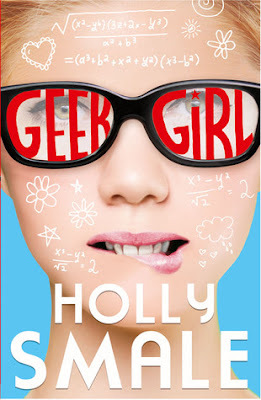 Geek Girl by Holly Smale is out tomorrow, Thursday 28th February in bookstores and for download. Also make sure you visit the Geek Girl Facebook page where you can find out more about the book, author and enter great competitions to win copies of the book and to become the next Geek Girl covergirl.